Time Flies when you're having fun! I can't believe it's been a week already! I'm home and did not ease back into the grind, I floated back! 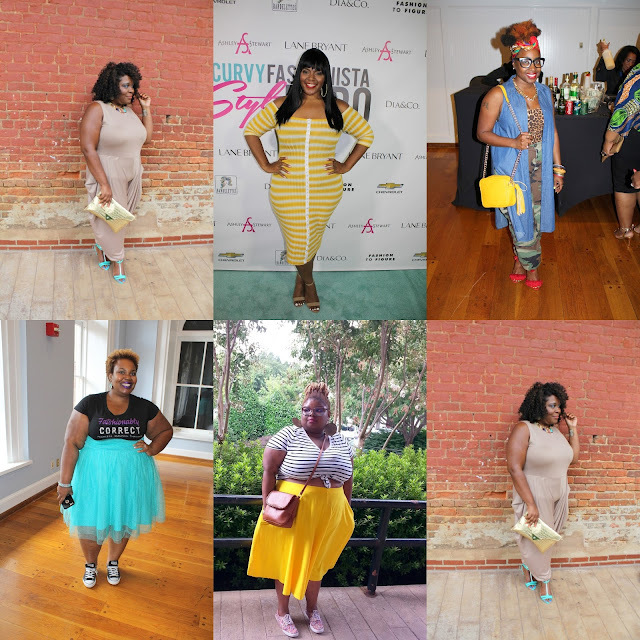 On cloud nine from all of the love that was felt during the 2nd annual Style Expo. Good Food, Conversation, networking, knowledge that was shared about the industry, and last but not least the shopping! 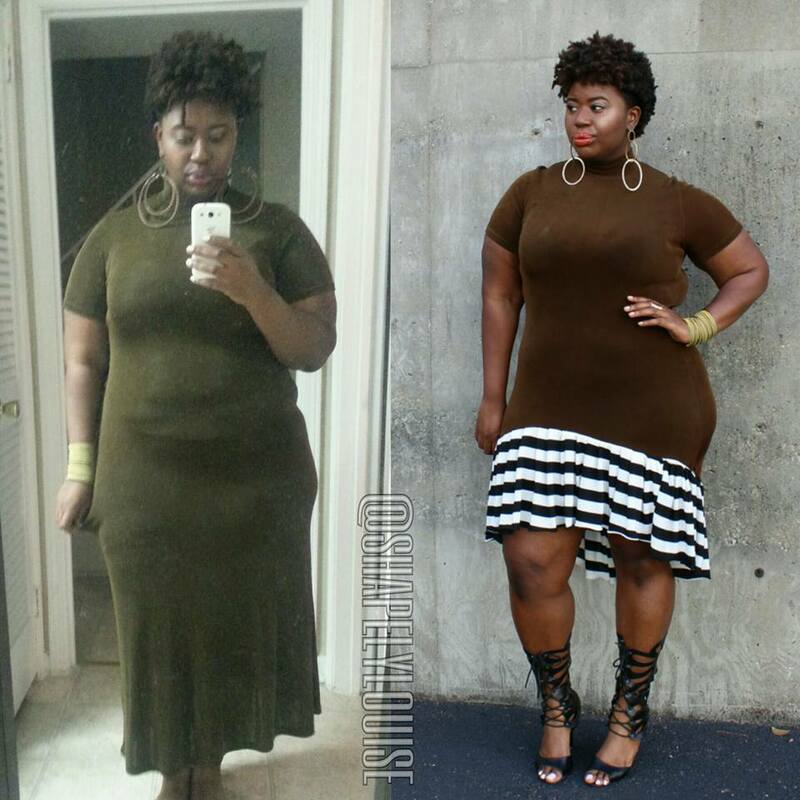 In the truest form Marie Denee brought her blog @thecurvyfashionista to life! The Take Away: Highlighted and bold, because this is probably the most important out of this entire post. 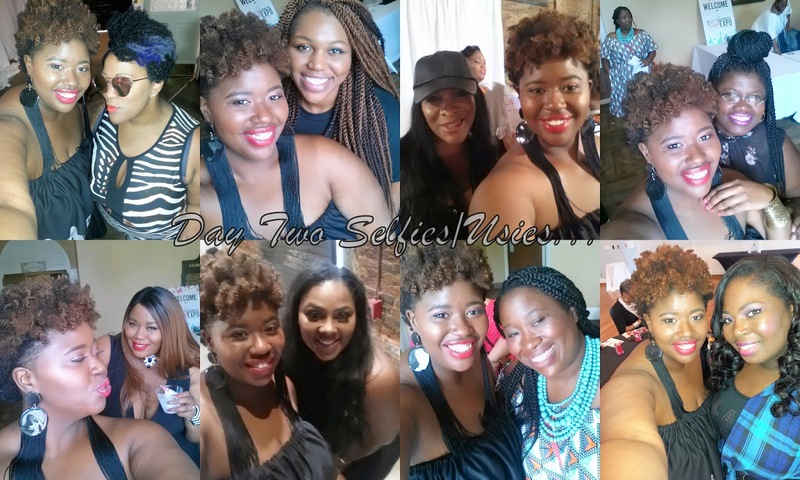 There were several panels held, where industry professionals, bloggers, stylists, models, etc. let us in on their thoughts and original goals as they started the empire we see today. Everyone took a different path, some set out to be apart of the industry, some discovered a passion, some uncovered a need, but all successful in their own right. The common denominator in all stories was Faith over Fear. At some point everyone had to take a leap or was put in a very uncomfortable position causing them to come out fighting. Discovering the will to fight within them that they didn't know existed! This resonated with me for obvious reasons! Put your blinders on a pay attention to the path that lies in front of you and just keep going! I loved being in the company of women who weren't afraid to speak on it! It being fatism (discrimination on fat people), Black women needing to create their own space to be celebrated, Shape discrimination (Hourglass vs. Everybody), and most importantly body acceptance. A true 360 degree conversation was had. Uncomfortable at times, funny at times, but rewarding throughout. Day one and two I wore @shapelylouise. That's just to name a few! I had a budget... I swear I did! But some of those deals were calling my name! The Purse was my absolute favorite purchase! I was receiving compliments on it as soon as I bought it off of the table! Fashion to Figure was having a BOGO FREE deal that I couldn't pass up! Ashley Stewart rounded it off for me with a $5 table! FIVE DOLLARS y'all! I had too! I also had the chance to support/Chat with Francie, owner of the Diva Kurves Collection . I picked up some eye shadow from Magnolia Makeup , and the cutest paper hair bow from Pretty Paper Blossoms! They Also specialize in those totally Unique paper backdrops! AMAZING! 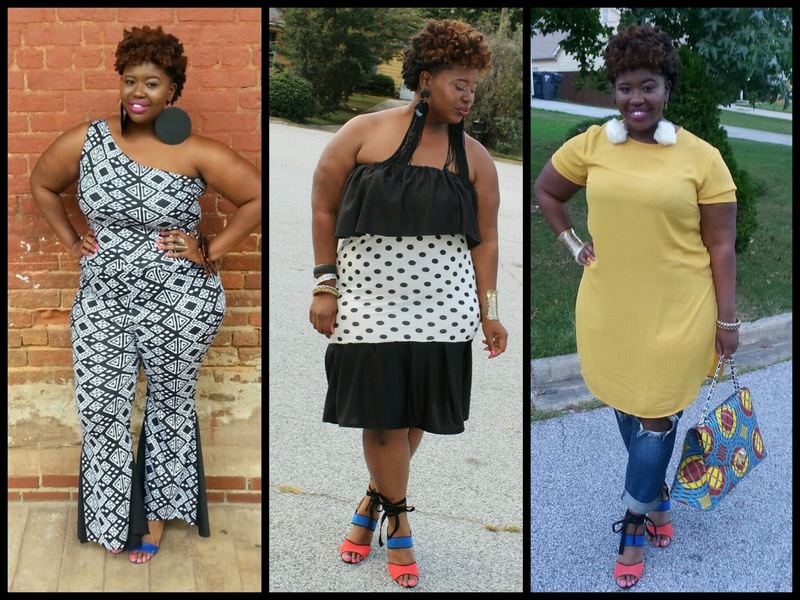 Here's a look at a few other Super Stylish Diva's! @NaturallyFashionable in the flesh! So good to see her! 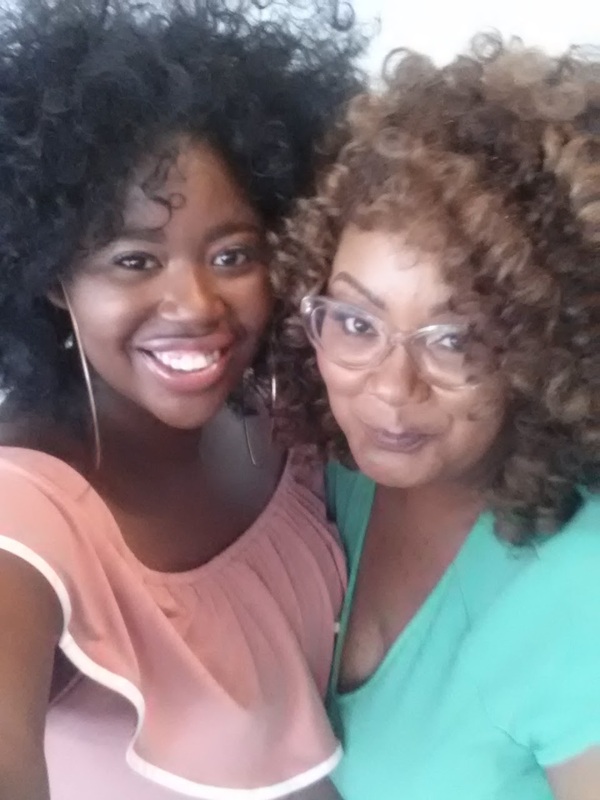 It was good being able to hang, hang with Shaina From @athickgirlscloset! She's hilarious and down to earth! 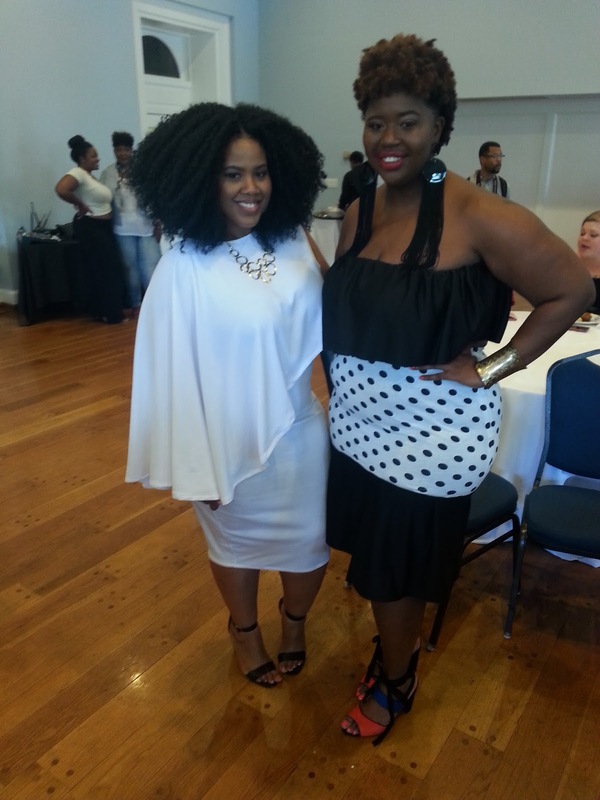 Here she is with @THECurvyFashionista herself, Mariee Denee!! 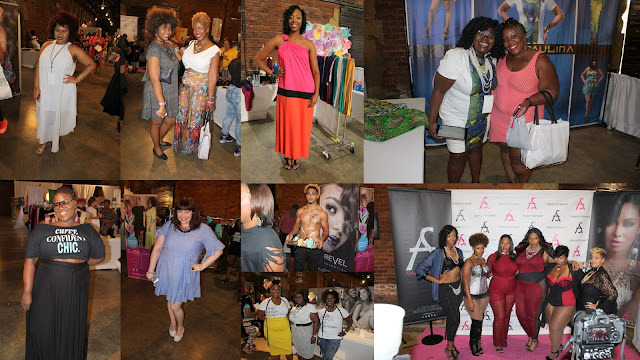 Candids: Models, guests, volunteers, and vendors had the expo running like a well oiled machine! I have been itching to post another Thrift- Flip, because I think recreating and creating are the two aspects that I enjoy the most! I'm a lot more thrift conscious these days, meaning I'm only looking for classic - potentially classic pieces to buy. There was a time when I just purchased everything that I liked! Now, I'm only focusing on the things that I love! Olive is the new black... well not really but I'm totally feeling the color against my skin tone! I'm exploring the green family tree. The vintage neckline I absolutely love, but I wasn't so into the length. I felt like it fells within the gray (in between area), not long enough/not short enough. Originally, I was going to use the fabric cut from the bottom to achieve this look. BUUTTTT after about 3 hours of cutting and sewing, I quit! LOL It just wasn't enough material to finish the pleated look. I then went through my scrap fabric pile and decided to REALLLLY remixed it ! I took a risk! Kente cloth has been around the fashion world a few times and then some! It's back, like it has never left! VH1 aired a movie about the 90's music era (the Breaks) at the beginning of the year. The lead character wore a Kente crop top to a party and my heart fluttered! after I got that out of my system, more ideas begin to roll in! Leftover fabric is truly a blessing because a neckpiece was born! It took me a second to figure out what I wanted to wear it with exactly. After a few trial runs, cream won! It's simple yet makes a statement! If you follow me on IG (@shapelylouise) You may remember these wide legged pants from my tribute to Solange a few months back. Well, I brought them out for this free spirited look. Flowy was the mood of the day! The only reason I paired the two pieces together! Happy first day of Summer! How are you bringing in the season? 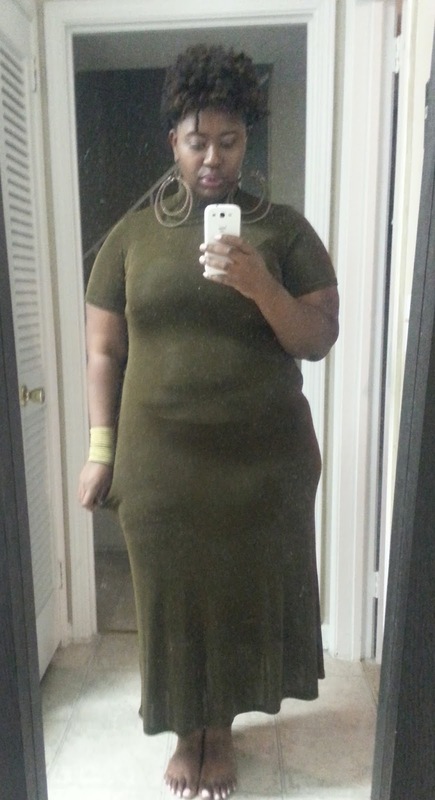 The infamous bodycon... a blessing and a curse! Blessing - it's ten times more fashionable than the flowered moo-moo stores had been forcing down our throats for years. Curse -most times they're too tight, too short, and we have to put on too much underneath (Spanx). For me, it's all about finding the perfect formula. That's a mixture of fabric, design and length. When given the opportunity by Gitionline to review an item from their site, this dress immediately grabbed my attention. Happy Friday! Cheers to the freaking holiday weekend! I kicked off my Memorial day weekend by going to see the one and only Vivian Green! She was in town last night and took us on an emotional rollercoaster mini concert style! Her voice is amazing! Vivian's style strikes me as earthy, flowy and tribal. GS-love never disappoints as this blue jean print, tribal, capri style romper is is all that in one! The material is kinda strectchy, but I could tell that from the website. Everyone may not know fabric, so my suggestion is to size up. I'm wearing a 3x here. Check the website for new arrivals GS-Love gifting my followers with 20% off of their next purchase! Tell them ShapEly Louise sent you by using discount code Elouise20 during check out! and be sure to follow them on Instagram @GSLovesMe, post a selfie and tag #GSLovesELouise for your chance to win $100 GS Dollars shopping spree. I'm coming off of a weekend high. I had the pleasure of officially meeting some women who I've been following and admiring for the last four /five years! 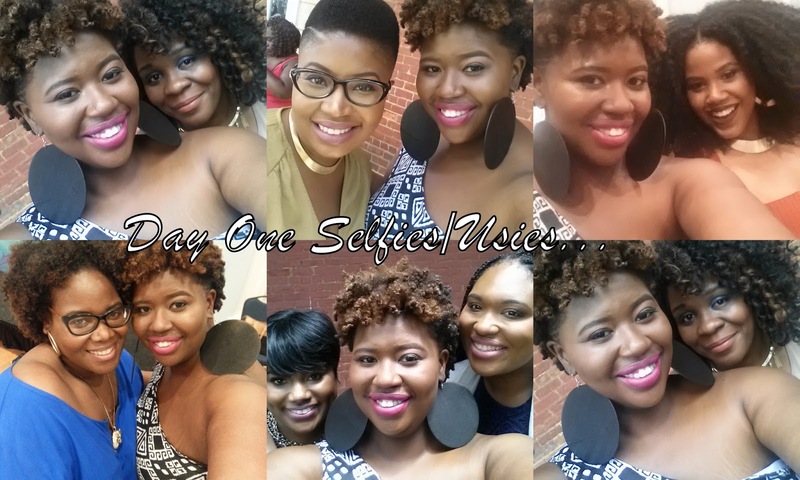 Can we say Blogger Heaven! I attended the TCF Style Brunch hosted by The Curvy Fashionista! 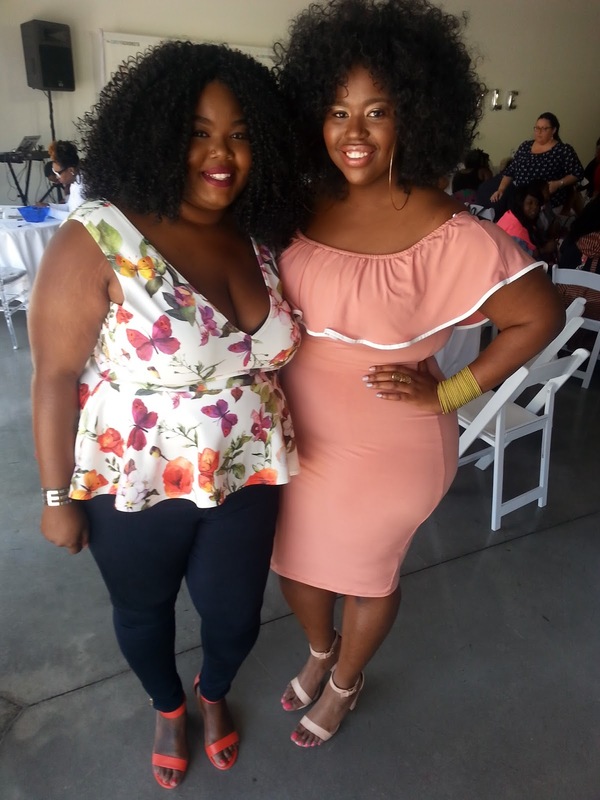 The panel included Jessica Kane (Skorch Magazine/Society (+)), Marie Denee (TCF), Ty of Gorgeous in Grey, Chante' Burkette (Everything Curvy and Chic) and was moderated by branding coach Kim McCarter. Plus, the opportunity to network with other beautiful ladies with the same or similar interests was absolutely there! I can't wait until the next event! Luckily for me, I was not worried about what I was going to wear. I knew I wanted to be super girlie and one of my favorite go to shopping spots had me covered! This dress (bit.ly/shapelylouise) from GS- Love made me blush! I received a lot of compliments and it mirrored my mood on the inside, FUN and FLIRTY! GS-Love wants to share the love by gifting my followers with 20% off of your next purchase! Tell them ShapEly Louise sent you by using discount code Elouise20 during check out! Check the website for new arrivals and be sure to follow them on Instagram @GSLovesMe and Tag #GSLovesELouise for your chance to win $100 GS Dollars shopping spree. Pics,pics, pics! Take a look at some of the pictures taken from the event. I hope you enjoy! I won a really nice bag sponsored by @88 handbags!